On Jun 25 2015 we finished one more webinar. This time we looked at “Building and Delivering Reports from your Web and Mobile Apps with Telerik Reporting”. This blog post is the recap of the webinar. You will find the slide deck and video recording of the webinar in his blog post. Telerik Reporting is a reporting solution for all .NET cloud, web, and desktop platforms that provides a full range of ready-to-use tools and services to help people throughout your organization create, deploy, and use reports quickly and easily. With Telerik Reporting, you can retrieve data from relational, multidimensional, ORM or custom data layer based data sources; The ready reports can be viewed in various formats (including PDF, Microsoft Office Word and Excel and PowerPoint documents); and can be viewed with a dedicated viewer in a Web or .NET Desktop application. you can know more about Telerik Reporting here: http://www.telerik.com/products/reporting.aspx. Demos of Reporting are also available online here: http://demos.telerik.com/reporting/home.aspx. Hope you will like this webinar. Telerik Reporting is a lightweight reporting solution for all .NET cloud, web, and desktop platforms (Azure, Silverlight, WPF, ASP.NET and Windows Forms) which targets developers and end-users alike. Rich interactive and reusable reports can be created by developers in Visual Studio, and by end users in the desktop-based Report Designer. With the help of Telerik Reporting users can examine and probe data, export reports to Microsoft Office Word and Excel for further analysis, and even present them as PowerPoint documents. During the webinar may questions were asked by the audience. We tried our best to answer as many as we can. We will try to address each and every questions from the webinar in this section. 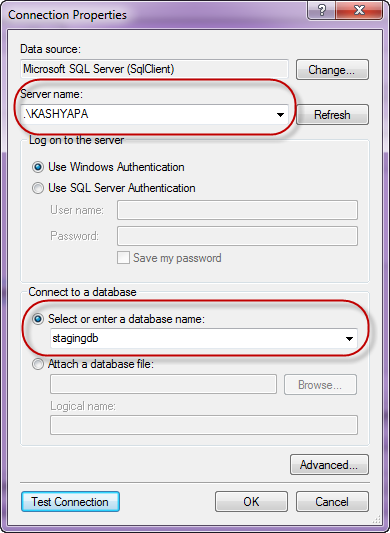 Q: How to save report data in cache? 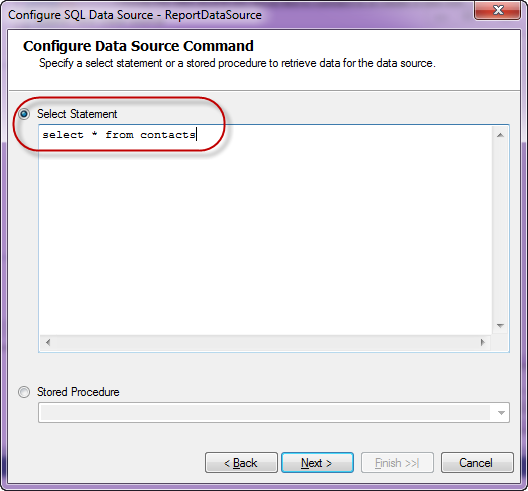 A: Data is provided to a Telerik Report using the DataSource property. So you can actually make use of the ASP.NET Caching mechanisms and store your report data. 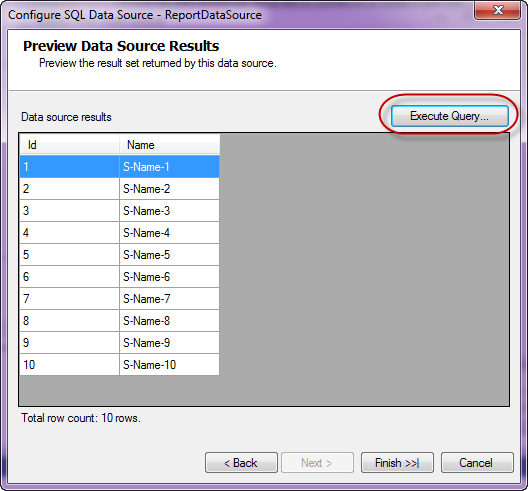 Then at runtime read the data from cache and provide it to the report data source. Q: Can Telerik Reporting be used in SharePoint? Q: Can I use Telerik Reporting in ASP.NET MVC? Q: Does report have any source code? A: Yes. The Report is a POCO class inhering from Telerik.Reporting base class. So although you design the report using the designer, it is basically a C# class file under the hood. Q: Is it building the app while we see the preview? A: When you preview, yes the class library project in which the report is hosted is built. Q: Difference between Preview and Html Preview? A: Preview uses Windows Host and it is as if you are hosting the report in a Windows Application. Html Preview uses IE as the host and it is as if you are hosting the report in a Web Application. 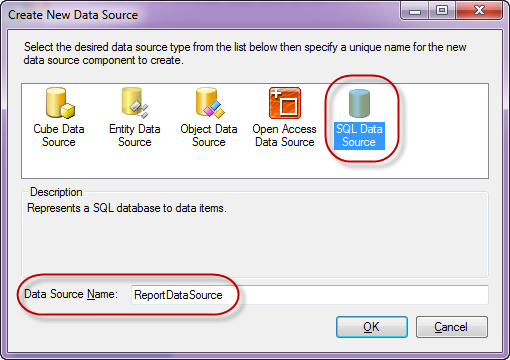 Q: Can i use SSAS as data source here? Q: How to create report from WCF service? A: You can always feed the report with a data coming from WCF Service. 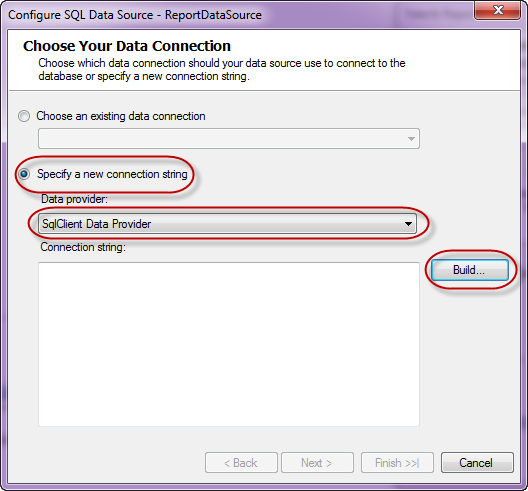 Telerik Reporting support Business Objects as a valid data source. Q: Can we export the report using report viewer? A: Yes, absolutely. Export to PDF, Excel and other formats. Q: Can we style and individual cells? and copy the style from one to other? A: Yes each individual cells can be styled. You can copy one style to another in the designer. Q: Can’t we add this thumbnail Image in during report creation through wizard ? A: Yes you can. The demo was to showcase our Data Explorer window feature which makes it easy for your to drag and drop data fields on to the designer. Q: Does it can have navigation from one report to other report like drill down? A: Yes. when you install Telerik Reporting you will see the Menu Item inside your VS.
Q: Can we give parameter at run time? A: You normally define the report parameters at design time itself and use the report parameters in your queries to filter. You can always set value of a parameter at run time. Q: What is the difference between Telerik Reports and RDLC reports? Q: Can we create a drop down list instead of textbox to pass a parameter? A: Yes you can. 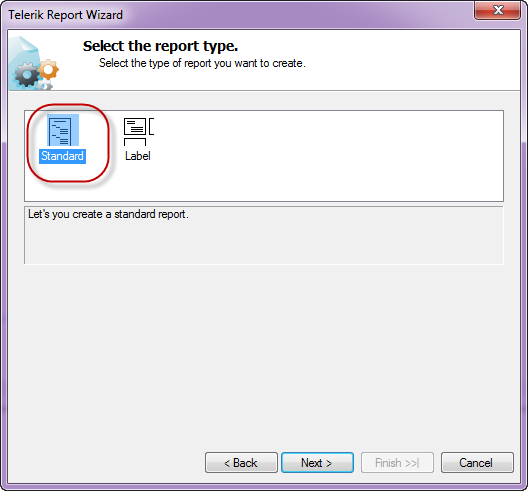 In fact you do not have to do anything except to say that the report parameter supports MultiValues. 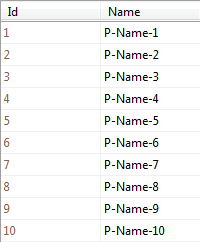 You do this by setting the MultiValue=true in the report parameter properties. 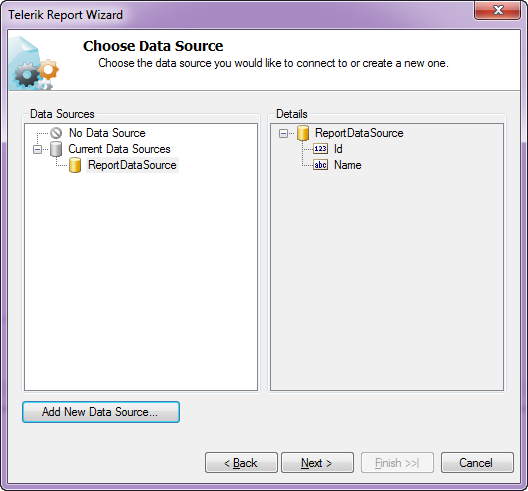 Q: Can we convert Crystal Report and SSRS Report into Telerik reports? Q: Where we can get those trial downloads? Q: If any changes is done to Report Library as in this case today, will it get auto refresh? A: You will need to redeploy the report library DLL to you Web Application Bin folder and you will have the refreshed report. 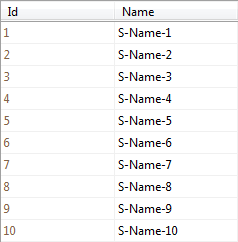 Q: Can we schedule the report subscriptions like SSRS? A: Nope. Telerik Reporting is not a side reporting solution. So out of the box we do not have this feature. But having said that – its easy to build it. The reports are nothing but C# classes under the hood so you can build a scheduling agent which programmatically creates the report, export it to a format of your choice and send it through email. Q: We have similar functionalities available with SSRS, Just wanted to know what additional features we have with Telerik reporting ? Q: Should we use Dataset in place of giving the physical database connection in Telerik report ? 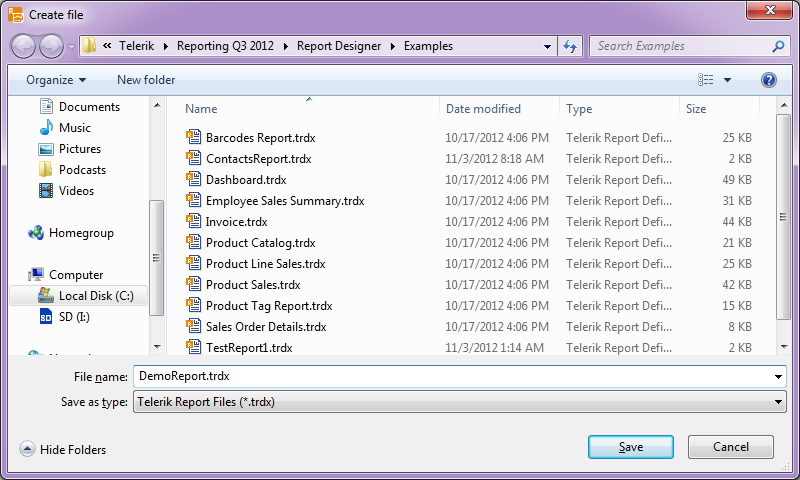 Q: Can we call this report from c# code without report viewer and get result in the PDF file? A: Yes you can. The report is basically a C# class file. You can instantiate this at runtime and export to any format of your choice. Q: Can we edit any grid row/column as in other grid? A: No. This is reporting so no editing feature. Q: Can we use any of web control as input parameter for report viewer? A: You do not need to use any web control. 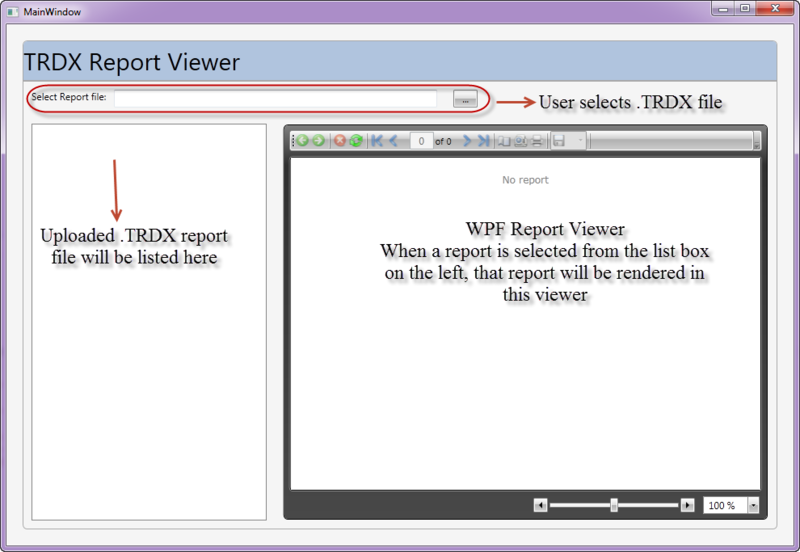 Report Viewer itself is a control as part of our RadControls for ASP.NET AJAX suite. Q: Do you have loading window when you click on Print Preview? A: Yes we have. When you click on Print Preview, we will show a “Generating Report” loading animation. Q: Can we expand/collapse a particular group as a bunch of values? A: Yes you can. The Expand/Collapse feature is supported. 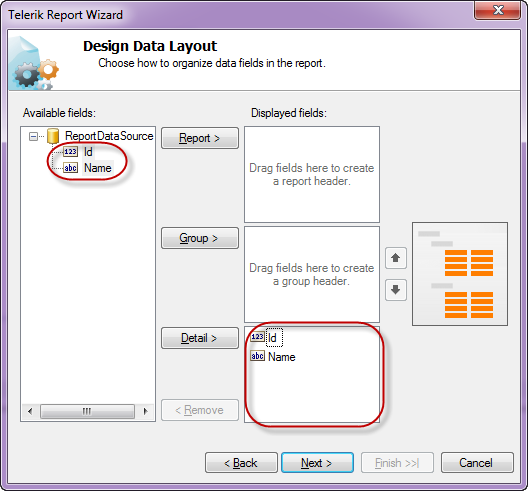 Q: How can we display the Telerik reports using viewer in Winforms? 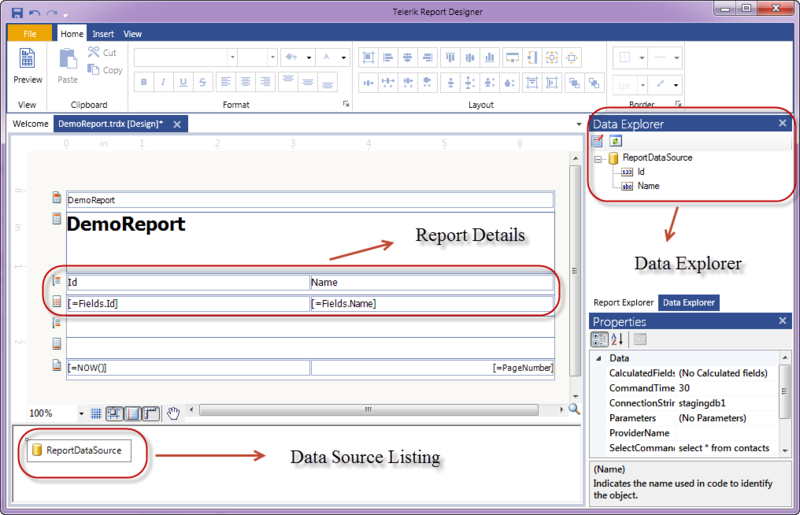 A: WinForms suite also contains Report Viewer control. 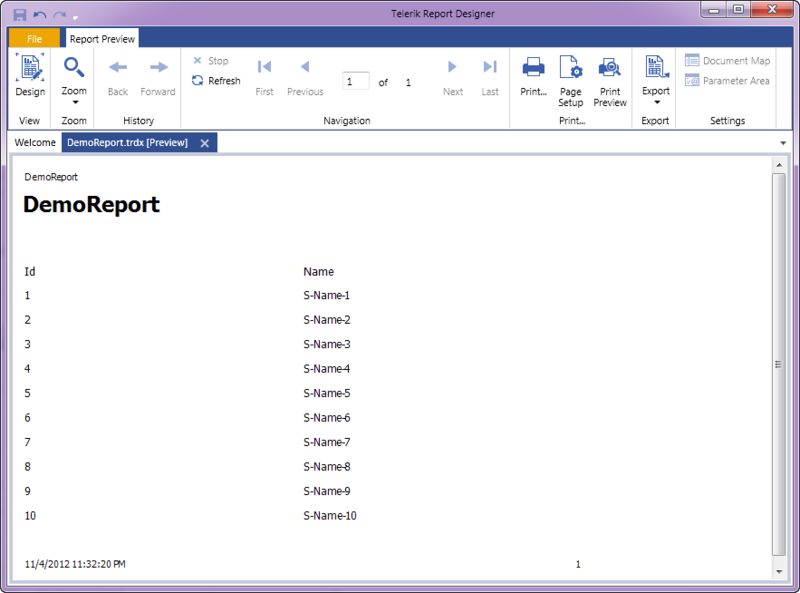 So the same report can be displayed on WinForms too. Q: Can we create charts – like pie, bar charts? A; Yes you can. Check out our demos to take a look at the charting capabilities. A: Yes you can. The cascading of parameters is possible. Q: Can we directly print reports without print preview? A: Yes. 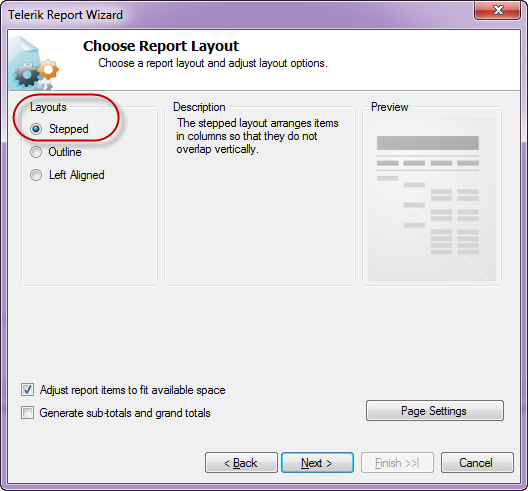 The report viewer has a print report button which will invoke the OS print dialog. Q: Export functionality is inbuilt or we need to do some coding for it? 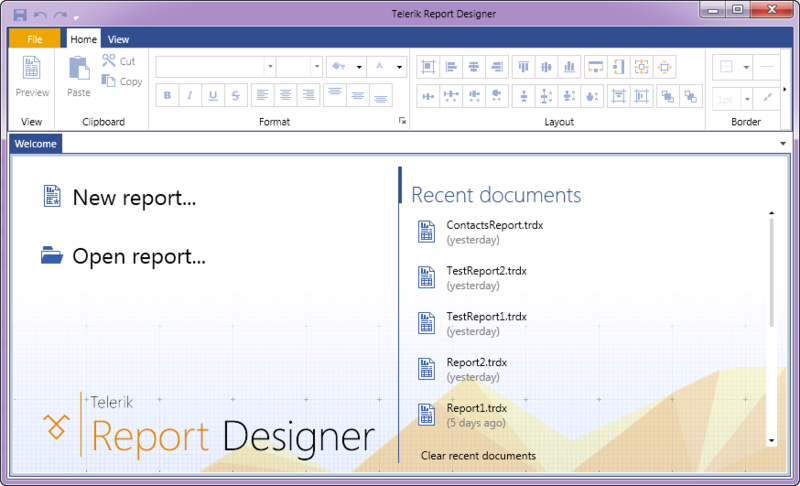 A: Export to different formats is in built in Report Viewer control. You don’t have to do anything extra to use the feature. Q: Can I email the report directly without showing the report to user? A: You will need to use Reporting API to achieve this functionality. A: Yes the generated reports are compatible. Q: Can we have docs/examples to implement Telerik reporting – sample projects? Q: Can we put a calendar in filters ? A: When you create a parameter of type Date/Time, the UI for that parameter is automatically rendered as a calendar.